By 2 o’clock Worth and Gates were home and greeted excitedly by Ola, who must have wondered where her companions had all disappeared to. Worth took to his bed whilst Gates tidied and unpacked. They had been promised dinner by The Elf and her friend Charlotte and they duly arrived later to prepare Carbonara with strawberries to follow. It was a treat to have a meal prepared after a marathon drive. 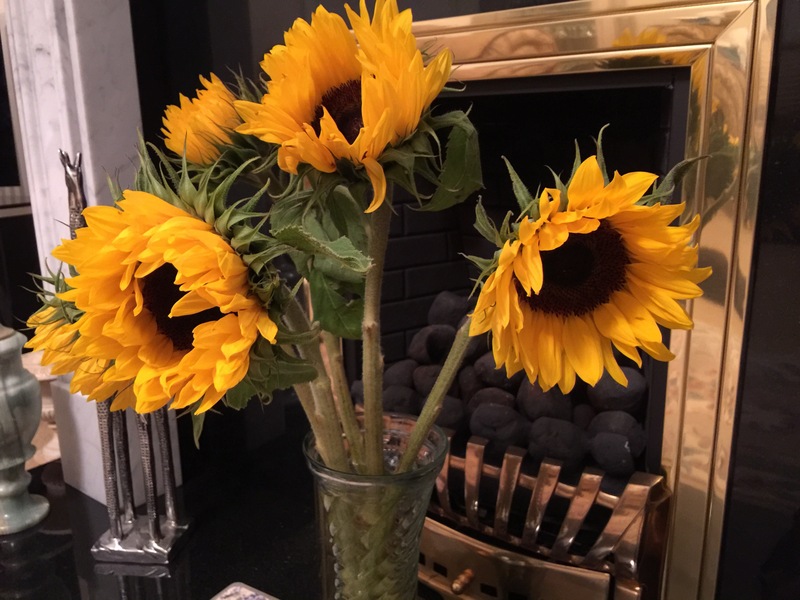 To brighten Gates’s day, the Elf had bought some sunflowers which took pride of place on the hearth. At last at home.